The museum is open Saturdays, 1:30-4 p.m. April through October. Private tours available winter, spring, summer, and fall!!!! We would love to give you a tour of the museum! Contact us to set up a private tour for yourself, your family, or group. REGULAR HOURS SATURDAYS 1:30-4 P.M. 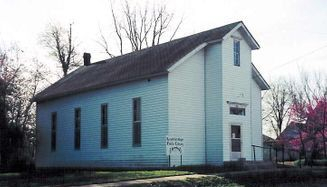 The Harold Bell Wright/Pierce City Museum is located inside the former First Christian Church (Disciples of Christ) church building in Pierce City, Missouri. 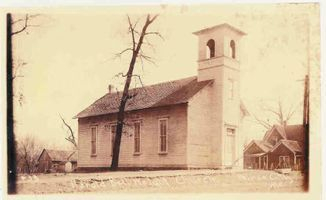 It was also known as the Pierce City Christian Church. 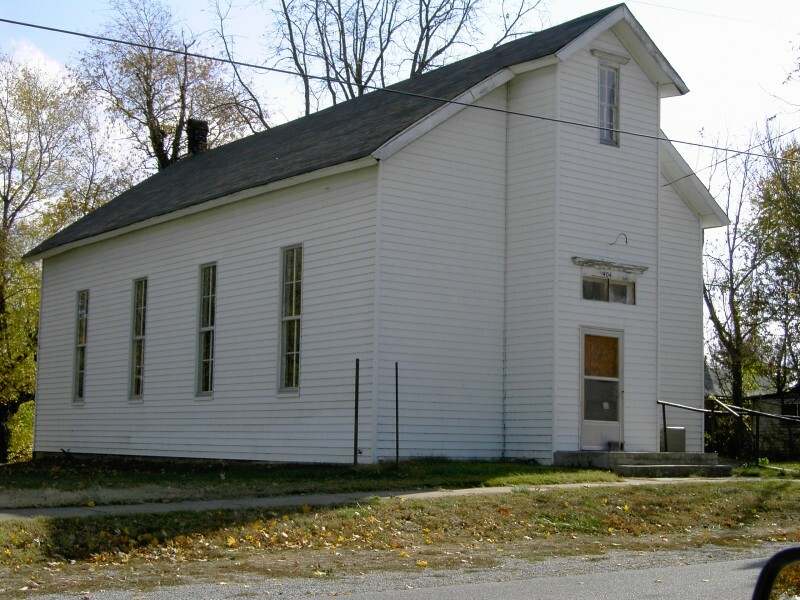 Pierce City's Harold Bell Wright/Pierce City Museum is housed in the former First Christian Church (Disciples of Christ), also known as the Pierce City Christian Church, and the "Harold Bell Wright Library and Museum" building located at 404 North Walnut Street in Pierce City, Missouri. While living in Mt. Vernon (Missouri) Wright was asked to preach in Pierce City and later became Pastor of the church in 1896. He went on to lead churches in Pittsburg (KS), Lebanon (MO), and Kansas City (MO), before moving further west. He was a best selling author and his novels set in the Ozarks are often credited for Branson's first tourism boom. The church building was converted to use as a public library in 1933. A very generous donation entrusted to Mayor Carol Hirsch by David H. Jones, Hirsch's persistent and dedicated drive to see the project made a reality, and many hours of volunteer labor by herself, husband Fred, retired Mayor Mark Peters and many others, yielded a new library built downtown. In March of 2000, again at Hirsch's urging, the Board of Aldermen voted to create the Harold Bell Wright Museum Board of Trustees to oversee the next phase of the site's history. The old church building, previously the city's library, is now the Harold Bell Wright/Pierce City Museum. Our museum houses Harold Bell Wright memorabilia and local history including notable Pierce Citians Ragtime composer Theron Bennett, artist Grace Tinker, and General Raupp. After countless hours of building renovations in the past few years by Betty and Jay Bierkortte and many others, the museum board opened the museum JUNE 3, 2006. 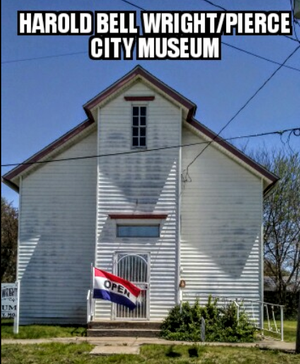 Pierce City's museum survived the 2003 tornado! The museum building 'weathered' the May 4, 2003, tornado. It became a place to gather for social events and meetings in the year of recovery and rebuilding that followed. As of June 2006, building renovations were completed to the extent that the museum had its official opening that month on June 3rd. Stop by the Pierce City Branch (David H. Jones Library) of the Barry-Lawrence Regional Library system to see the mural Pierce City Remembered which hangs in the community room. The mural depicts scenes from Pierce City history and was painted by Carthage artist, Sherry Pettey. Sherry is a member of the Pierce City Arts Council (PCAC). The original art work was donated to the library by the Pierce City Arts Council (PCAC). 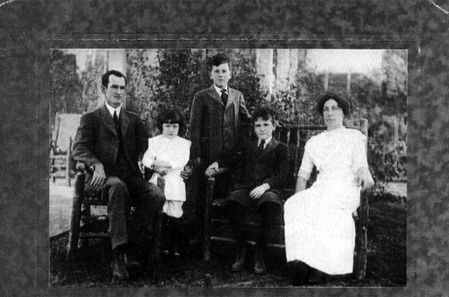 Family photo of Harold Bell Wright Family including sons Gilbert, Paul, and Norman. Items of local history including a collection of military memorabilia featuring noted citizen General Raupp. Information about Harold Bell Wright, his time as pastor in Pierce City and a collection of his books, magazines with interviews and/or serialization of his books, post cards and movie posters, and more! Local history books, scrap books, Grace Tinker, Theron Bennett, Martha Griffiths, and many items of interest. Cemetery maps and index for Pierce City Cemetery, including list and location of veterans graves. Many obituaries searchable on computer. "The Family of Harold Bell Wright is pleased to announce and endorse the Harold Bell Wright Museum in Pierce City, Missouri. They are currently adding to their museum inventory so if you have items you can donate to them, please contact the President of the Museum, Kristin Nama via her email address of [email protected]. You can learn more by visiting their museum website. Thankfully the museum was not damaged in the recent tornadoes; however the community does need your help and prayers. Best of luck for great success to those promoting and preserving the writings of Harold Bell Wright." 1. An item about Mrs. Tinker was featured in the Back in the Good Old Days column in The Monett Times on January 9, 2014. 2. Back in the Good Old Days 2009. 3. Story in the Joplin Globe about Grace Tinker watercolor painting sold for fundraiser. (Mr. Taylor was a friend and Harold Bell Wright. A painting by HBW that used to hang in the First Christian Church was one of several HBW gave as gifts to Mr. Taylor. The Taylor family gave the painting to a museum in Kansas City. The painting is currently on display in the Inspiration Tower at the Harold Bell Wright Homestead in Branson, MO). 5. I believe this is a bowl painted by Mrs. Tinker that Jo Allen sold online when she was preparing to move out of Pierce City. "Maybe you can help us solve a mystery!" We had been looking for information on the whereabouts of the bell from the old bell tower for more than a decade. Murray Bishoff solved the mystery! He discovered a notice in a 1942 edition of The Monett Times that the 500 pound bell was donated to a scrap metal drive that year. Presumably for the war effort in WWII. A notice also appeared in the Pierce City paper about the scrap metal drive.